Listen past your rush-hour heart. I am up here breathing heavily. you did not know you wanted to hear. Why did boys like me bring ladders to school? We wanted to learn mountains and rarefied air. To find reservoirs of laughter waiting. What did 0 say to 8? But I want your holy, exhaled noise. What do you do if you see a spaceman? You laugh. He doesn’t know what he’s doing here. The spotlight hungers for no one. if the chicken intended to cross the road? without looking both ways these days. I do not call them chickens– they are my more realistic friends. I want to make them laugh. If you’re not laughing for me, laugh for them. dead strangers, dead, dead, dead, dead, dead. You can be someone’s haunting sunlight. Someone’s champion jester dispersing their marbles too good. How do you catch a unique rabbit? U nique up on it. How do you catch a tame rabbit? before the mouth’s swing open, closed. Some of us never leave that darkness. Laughter will bring us close. even when what we laugh about isn’t funny. A shadow figure outside the Ford’s locked door. until the other swam away. 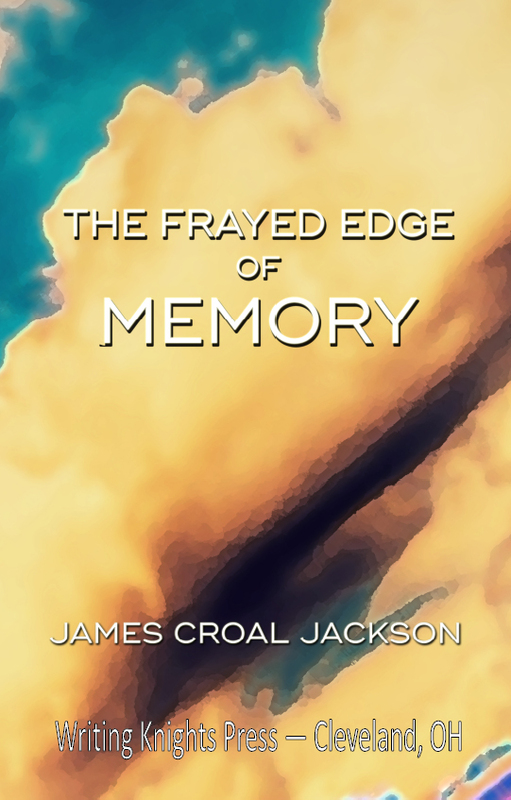 Today’s a bit of a special day for me: my first poetry chapbook, ‘The Frayed Edge of Memory’ (Writing Knights Press) has released and is now available for purchase! It’s 44 pages and only $8 for a physical copy. Really excited for you to read it! Thank you so much for your support. lives up to its name. and your pupils, telling truths into the dark.